Imprint Method: UNIMPRINTED - Show your appreciation to a dedicated member of your team with the Decree award! This piece features a rectangular glass plaque with polished bevels, clipped corners, and a glowing rosewood base. An exceptional way to acknowledge contest winners and those who commit themselves to superior performance. 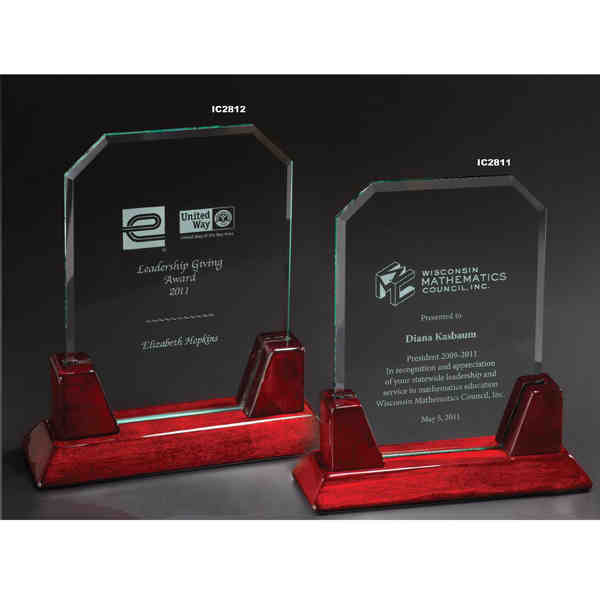 The Decree award is available in different sizes and may be customized with an individual's name, corporate logo, or a brief message. Size: 8 " x 7 " x 3 "